The Celestial Guard are the units which guard the celestial emperor’s capital, especially Zǐjinchéng, the Forbidden City, the great palace compound which includes the Imperial Palace (the size of a small city), recreational pavilions, gardens and the mansions of members of the imperial family, noblemen and civil servants from the Yu Jing Ministry of Justice. Because of their military assignment, the Celestial Guard are intervention troops, specialists in urban fighting. 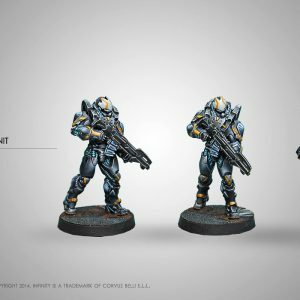 As the Forbidden City is a prioritized military objective, the Celestial Guard requires high levels of competence. To be able to serve in this regiment, candidates must be veterans with at least three years of service in another unit and with a recommendation from their commanding officer. All its members are men and women with proven loyalty to the Dragon. 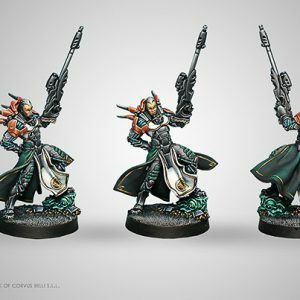 The Celestial Guard is the centre of the Imperial Service. When participating in military action it receives orders directly from the Emperor, although these must be confirmed by the State’s Ministry of Defence. 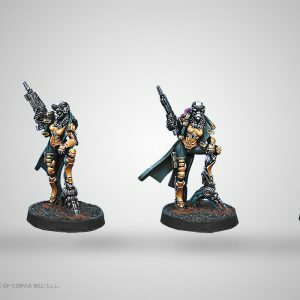 At the same time, the Celestial Guard is part of the Yu Jing Judicial Police Special Tactics Unit. In addition to their security function, they deal with police work in situation control operations such as surveillance, tracking and quick response. They have a reputation for their violent and expeditious methods and are feared all over the Imperial State for their quasi-unlimited authority to carry out arrests, their efficient net of informants and their cruel interrogations. They are notorious for erupting into the houses of suspects in the middle of the night and taking them to their headquarters dungeon, from where they never return, disappearing without leaving a trace in any files or registers. Considered to be dirty and treacherous troops, the Celestial Guards make a public display of pride in their bad reputation, believing it makes their job much easier.